Feel free to check out all of these top recommended IT organizational charts examples to improve your organizational human resournce management level. You can click any of them to see more details. Here comes an org chart example of a middle-sized IT company. You can see some necessary functional departments such as finance, human resources, admin., marketing and production development etc. Due to limited resources, there are not many product lines in such type of organizations. This org chart template here shows a different style. In large firms each production line has a group of specific employees, and there are many more functional departments for professional information technology management such as information security division, cloud service system, innovation and research etc. Feel free to add any of these titles into the editable template. 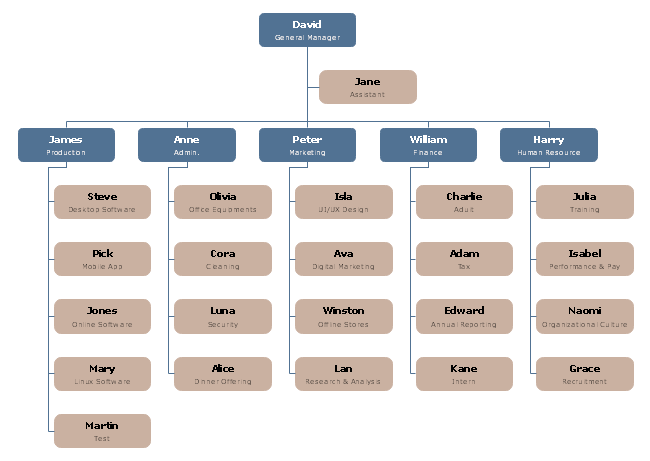 An organization chart can be used to show the relations between different departments within a company, or relations between team members within a single division. 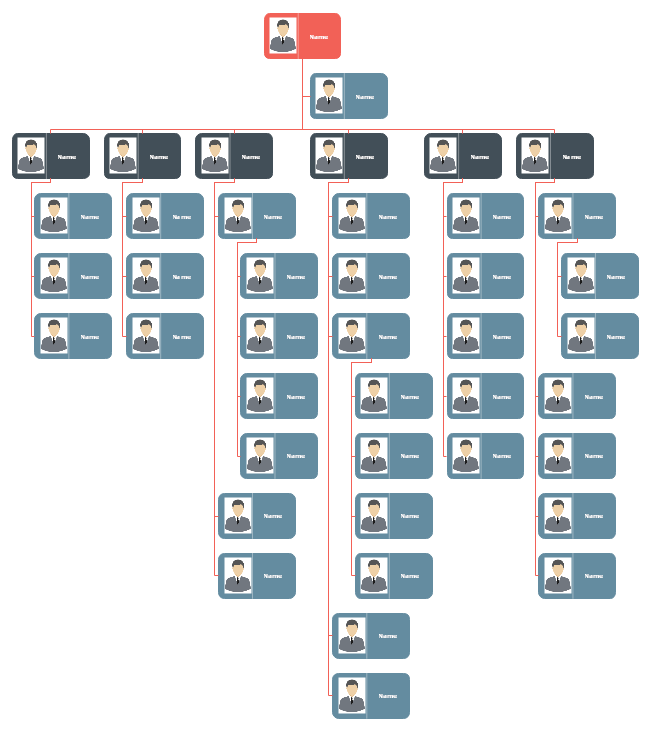 All employees can be clearly listed in a single org chart to show their reporting relationships. 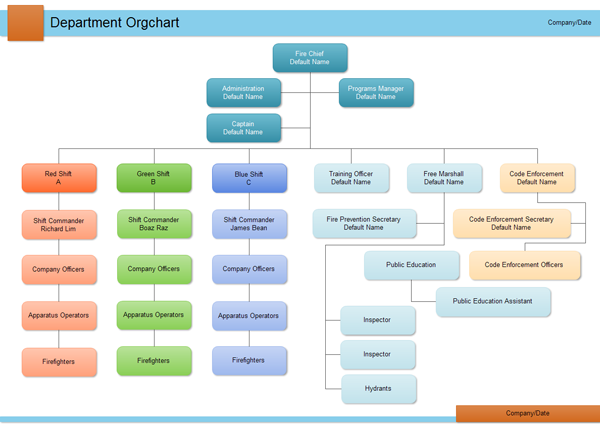 For example, the following IT department organizational chart presents an Information Technology department's organizational chart.